There are some stars who died in a too early age, which sometimes make people feel that life is just ridiculous. 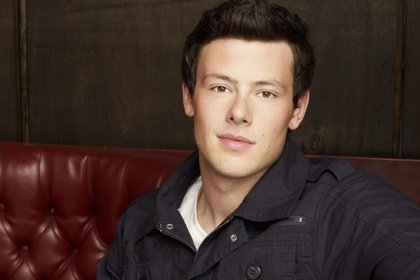 Cory Monteith – known as Finn on Glee, died at the age of 31 in 2013. He died of a heroin and alcohol overdose. Amy Winehouse was an English singer and songwriter known for her deep vocals and her eclectic mix of musical genres, including soul and rhythm and blues. She died at the age 27 of of accidental alcohol poisoning. Jim Morrison – lead singer of the Doors died in 1971 at the age of 27 of hearth failure from a drug overdose. Gary Coleman – was best known for being “Arnold Jackson” in TV Show, Diff’rent Strokes, in the 1980s. In 2010 at the age of 42, he died of natural causes. Dana Plato – was best known for being “Kimbery Drummund” in TV Show, Diff’rent Strokes, in the 1980s. She died in 1999 at the age of 34 of a drug overdose. River Phoenix – was an American actor, musician and activist. He was the older brother of Rain Phoenix, Joaquin Phoenix, Summer Phoenix and Liberty Phoenix. He is died in 1993 at the age of 23 of a heart attach because of multiple drugs in his system. Brittany Murphy – actress known as movie such as Clueless, Freeway, and Bongwater died at the age of 32 in 2009. Cause of death was officially pneumonia and anemia, though multiple drugs were found in her system at the time of death. There is also a theory that toxic mold in her home contributed to her demise. Selena Quintanilla-Pérez, known by the mononym Selena, was an American singer, songwriter, spokesperson, actress, and fashion designer. Called the Queen of Tejano music, her contributions to music and fashion made her one of the most celebrated Mexican American entertainers of the late 20th century. On March 31, 1995, Selena was shot dead by Yolanda Saldívar, her friend and former employee of her Selena Etc. boutiques.